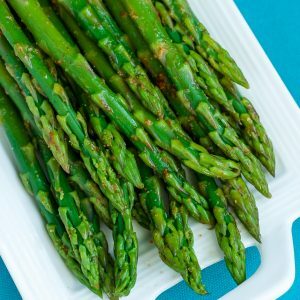 Easy Blanched Asparagus with Cayenne, Lemon and Garlic with my go-to technique for perfect asparagus, every time! With a crazy easy recipe such as this one, it feels beyond wrong to start things off with a lengthy explanation. Sure it’s our favorite way to enjoy asparagus and has been a go-to in the P&C kitchen for 9+ years. But does it merit a rambling tirade of stories and musings? Heck no! It begs to be eaten, and that’s just what we’re going to do today! 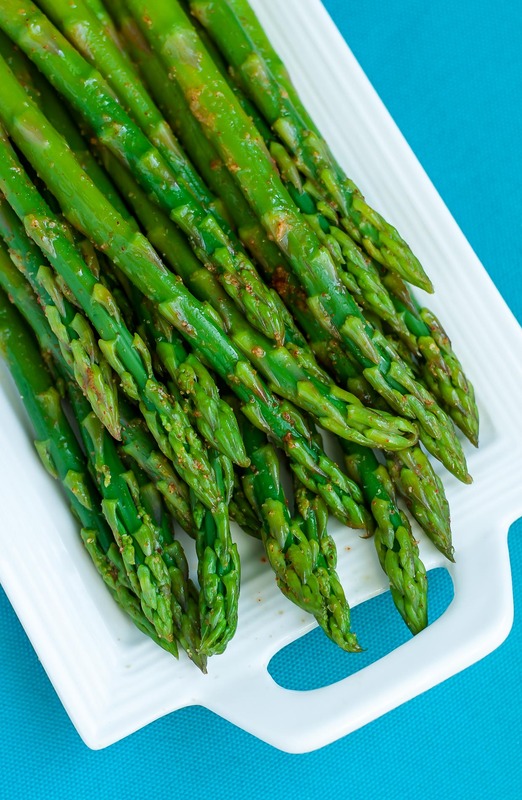 This is our favorite recipe for easy peasy asparagus that’s tender and delicious! Easy Blanched Asparagus with my go-to technique for perfect asparagus, every time! Excuse me while I get overly descriptive here. I always get a ton of questions on my blanching technique and I wanted to get super detailed with a super-short recipe. Mwah! First prep your ice bath. Though it seems silly, this is a fabulous step to include when you're blanching vegetables. Fill a medium-large bowl with ice and water and set aside. This will serve as a speedy method to shock the green beans and prevent them from continuing to cook. There's few things worse than mushy vegetables and this ice bath will prevent you from having sad, limp asparagus with dinner. Blanch the asparagus spears by bringing a shallow pan or skillet of water to boil, you'll want just enough water to cover the asparagus but not so much that they're swimming in it. Once you've reached a rolling boil, add the asparagus. They'll almost immediately turn bright green and start to tenderize. Give them just a few minutes [I'd say maybe 2-4] in the water before removing from heat. To test, spear one with a fork to ensure they meet your standards of al-dente. Some prefer a bit softer, I like mine a bit crisper. Immediately drain all liquid and submerge in your ice bath. Drain liquid once asparagus spears have cooled. Now you can go ahead and season the entire bunch [as I'll indicate below] or grab a handful of spears and store in your fridge for salad toppers or to use in your favorite pasta dish. Up to you! The full bunch of asparagus will make enough asparagus as a large side dish for two or a smaller side for four. To season the spears, melt your butter in the same skillet you used earlier on medium-high heat. Once the butter has melted, toss your asparagus in along with it and season with the above measurements, or adjust to taste. I make this so often that measuring goes out the window and I simply sprinkle and stir until it smells heavenly, then give it a quick taste to see if I want more of a certain spice. 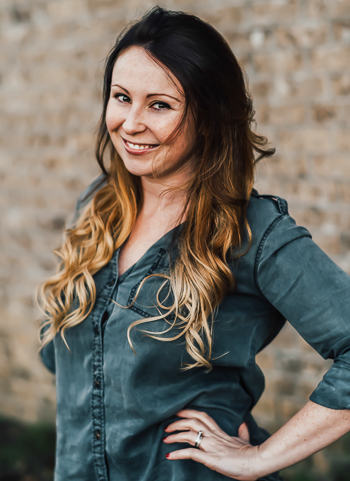 Start small and work your way up, you can always add more later! If you have fresh garlic on hand, it makes a great addition. I'm so garlic obsessed that even if I mince a clove or two into the pan with the asparagus I'll still use garlic powder for extra oomph! It's standard operating procedure around here. Since the asparagus are already technically cooked, you'll simply be warming them up with the butter and spices, in just a few minutes they'll be ready to scarf alongside your favorite dish. If you're planning out a big meal, you can save the butter/seasoning step for last and leave your blanched asparagus off to the side until your main course is ready. I love it when all my food is ready and piping hot at the same time! Squirt asparagus with lemon just before serving or allow everyone to add their own! Whole30 + Paleo - Use clarified butter or ghee. Vegan? Fret not! You can swap the butter for your favorite buttery spread. Earth Balance is a popular one. For all my friends eating paleo, whole30, or keto, simply use ghee or clarified butter and you’re good to go! Feel free to experiment with spices and sauces using this easy peasy blanch + sauté method. Freshly grated parmesan is always totally awesome over asparagus, as is your favorite seasoning blend. Go mild or spicy, garlicky or buttery, lemony or saucy… anything goes! I’ve even gone as far as to top a pizza with freshly blanched asparagus, mozzarella cheese, and a drizzle of pesto. Unconventional? Totally! Delicious? Heck yes! And you’ll totally have to forgive me here, because the photos are crazy terrible, but I’m head over heels crazy for this Cheesy Cauliflower Soup with Asparagus Pesto <— SO GOOD! Can this be served at room temperature? I would be making a large amount of it for a larger group of people, which means I would have to do it in batches, making it challenging to serve it hot all at once. Hey Brian! I like it both hot and at room temperature so I don’t see why not! You could even do that restaurant hack of undercooking it juuuuust a smidge and then toss it all on a cookie sheet to finish cooking for 5 min in the oven before serving if you’d like. I’ve done that before with a bunch of dishes when serving friends for game nights and dinner parties. Love the delicious flavor that garlic and cayenne powder add to the dish. Will definitely cook this again as I like my asparagus to be simple when paired with a more complex main dish. 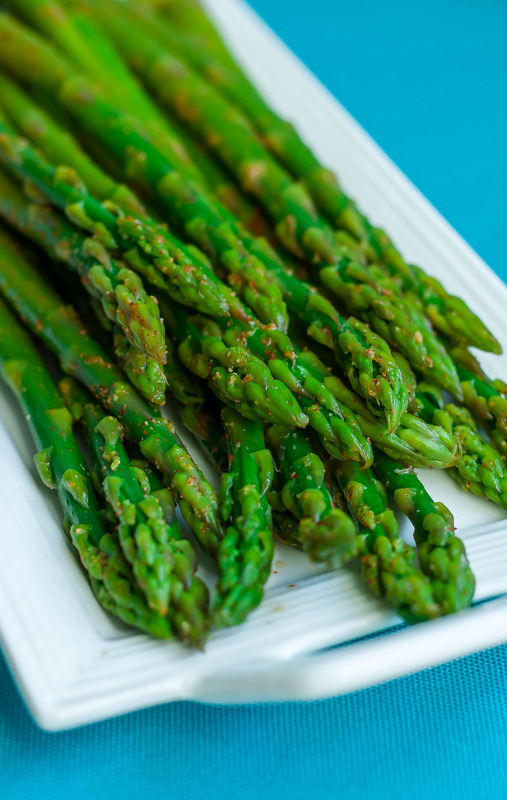 I’m always looking for simple and delicious side dish recipes and this asparagus definitely fits the bill! Your photos are gorgeous and the asparagus is so vibrantly colored! Definitely want to try preparing them this way next time! Thanks! Thanks for sharing. I ALWAYS over cook asparagus. It’s one of my favorite vegetables! I’m pretty sure I could eat asparagus on a near daily basis. It’s one of my favorites, and I love the idea of blanching them as soon as I get home from the store and then having them ready all week. You are efficiency at is finest. Love you blog. I’ve been reading for exactly one year and many of your recipes are staples in our kitchen! Can you use this same method if asparagus is frozen?? Oh gosh my own blog won’t let me comment [in the middle of an overhaul with the tech stuff’ — testing 123! Whoo! Worked! And thank you!! Happy to have you as a loyal reader! I’ve only ever once cooked asparagus from frozen and I had steamed it and well, it was a hot mushy mess. I haven’t attempted it again since. I’m wondering myself that if it was frozen at season’s peak and then blanched quickly if it would fare better.. I wish I had the answer! Terribly sorry! Do you normally cook yours from frozen? I’ve stuck to the fresh stuff ever since. I buy both. I’ve roasted it from frozen and was happy with it. I only asked because I have some in the freezer and have never tried blanching. Might give it a try this week!